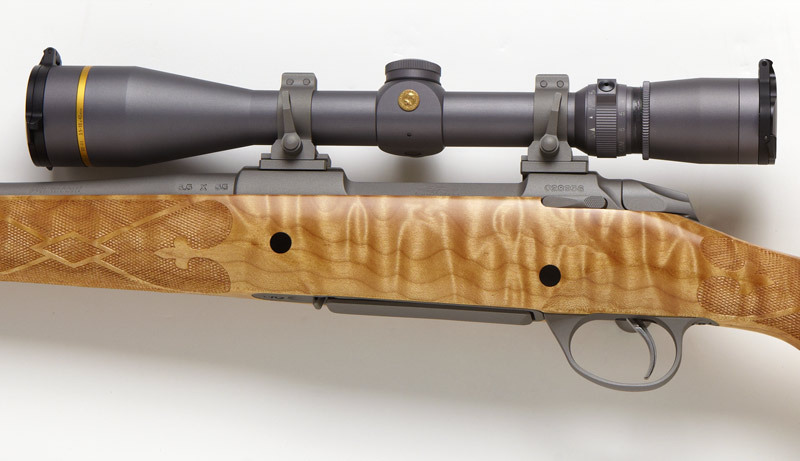 Kilimanjaro African Rifle In 416 Rem. 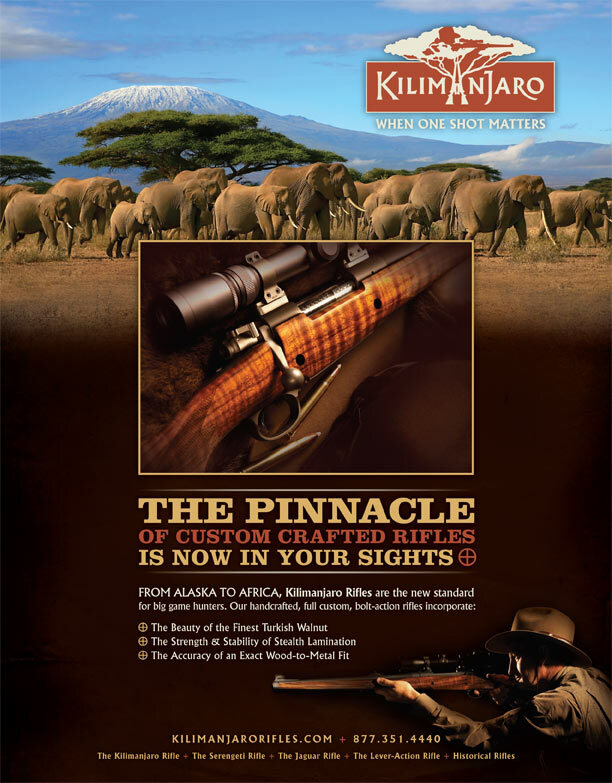 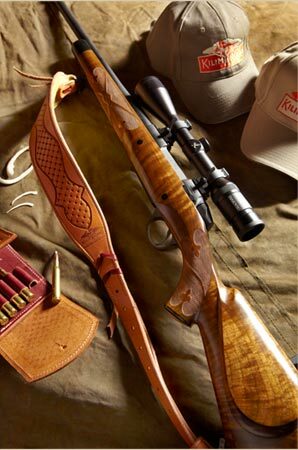 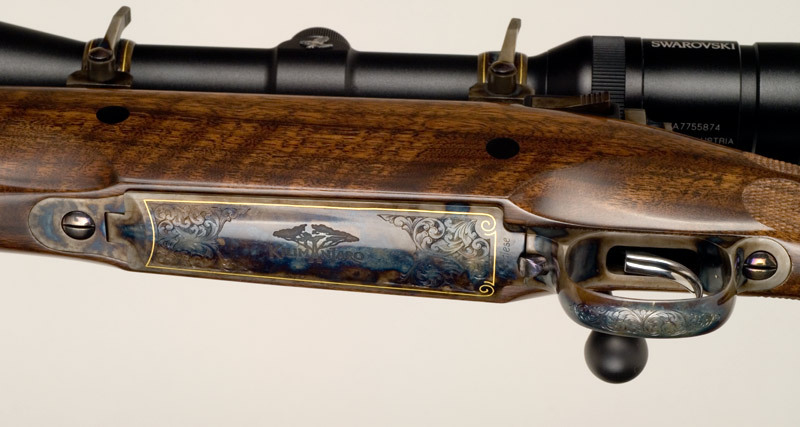 The Kilimanjaro Custom Rifle is our flagship offering, and is hand-crafted to be handed down generation to generation. 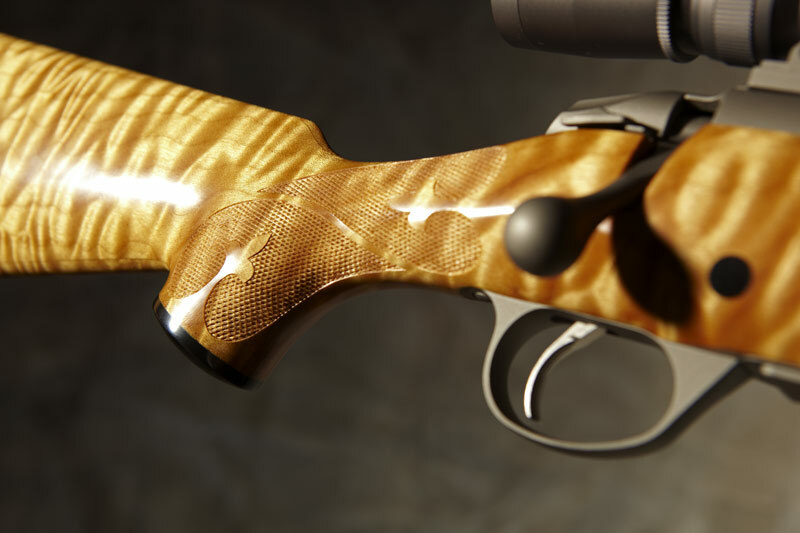 As a full custom bespoke bolt-action rifle, every detail, component and feature (from stock geometry, choice of action and barrel, and other features) is subject to customization and your individual specifications. 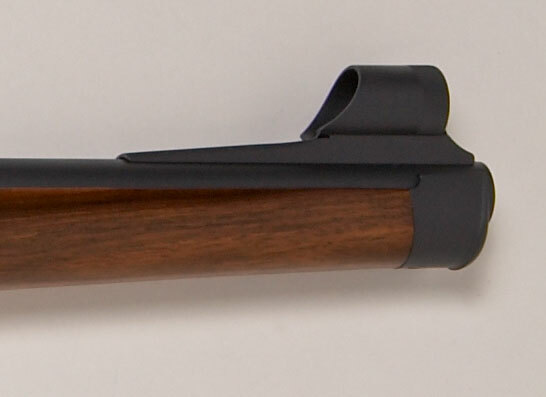 The base package set forth below is simply the starting point for your own unique rifle. 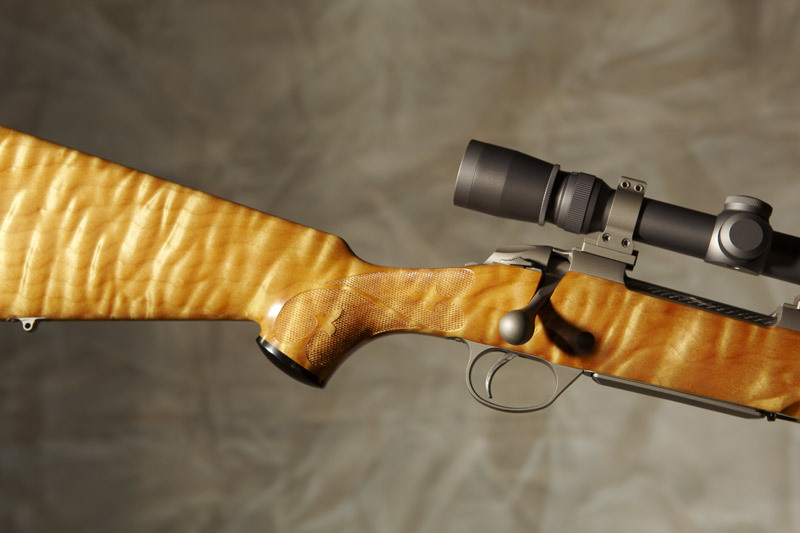 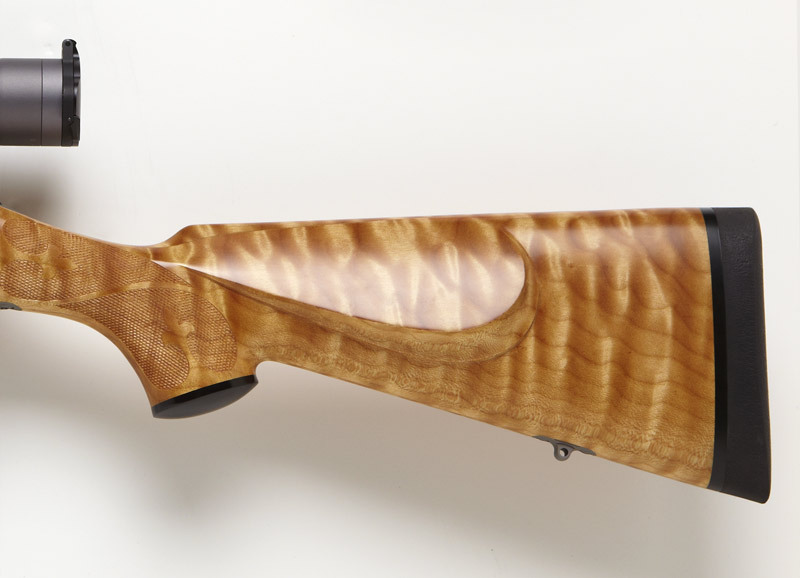 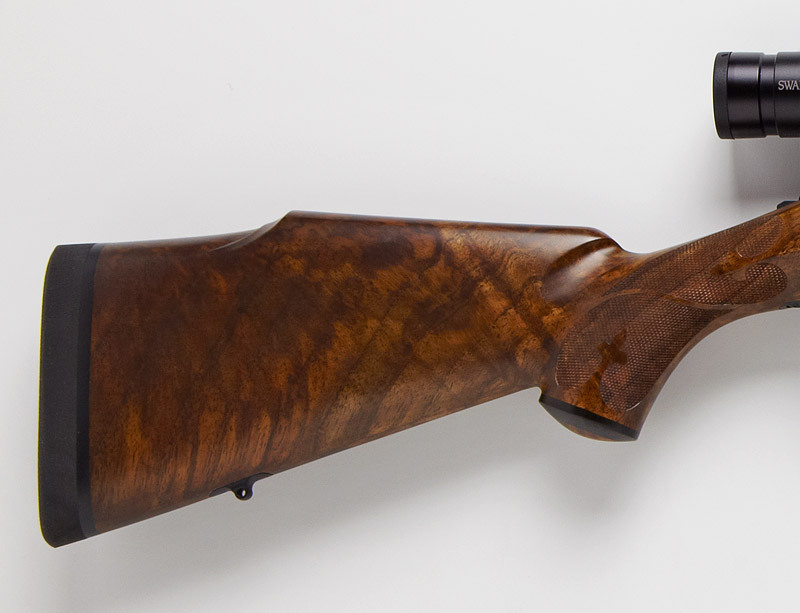 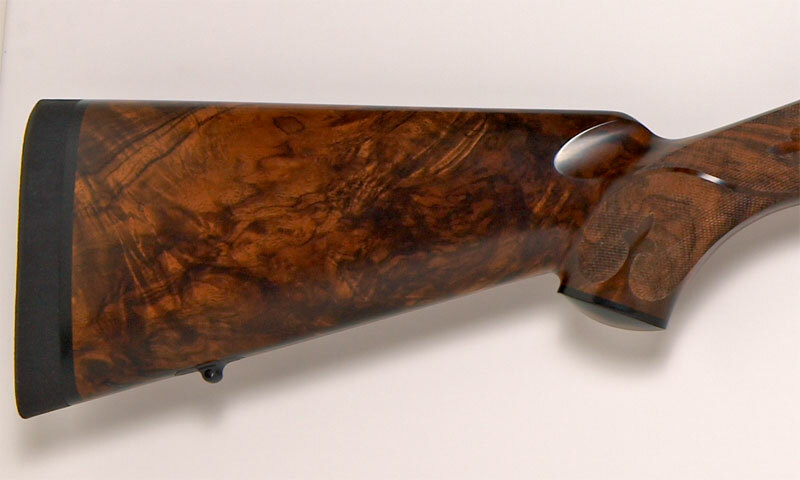 The Kilimanjaro Custom Rifle features a fully customized Special Select Grade Circassian Walnut stock fit precisely to your specifications, dimensions and desires in accordance with our "All Custom - All The Time" philosophy. 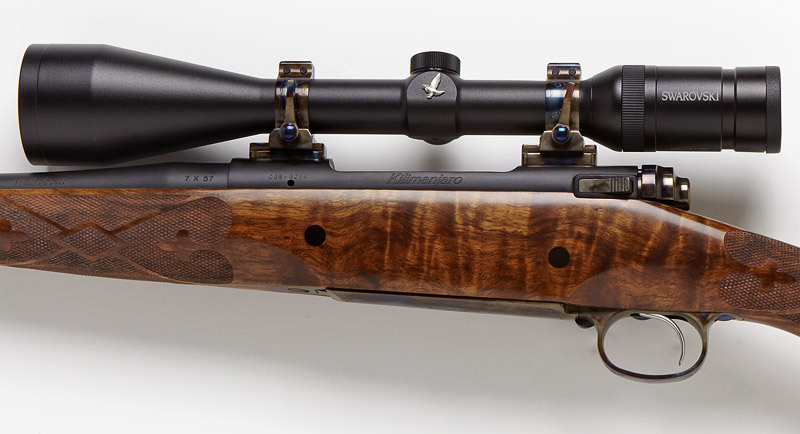 The Kilimanjaro Custom Rifle also features our premier Diamond Fleur checkering, Museum Grade wood finish, and NECG iron sights as standard. 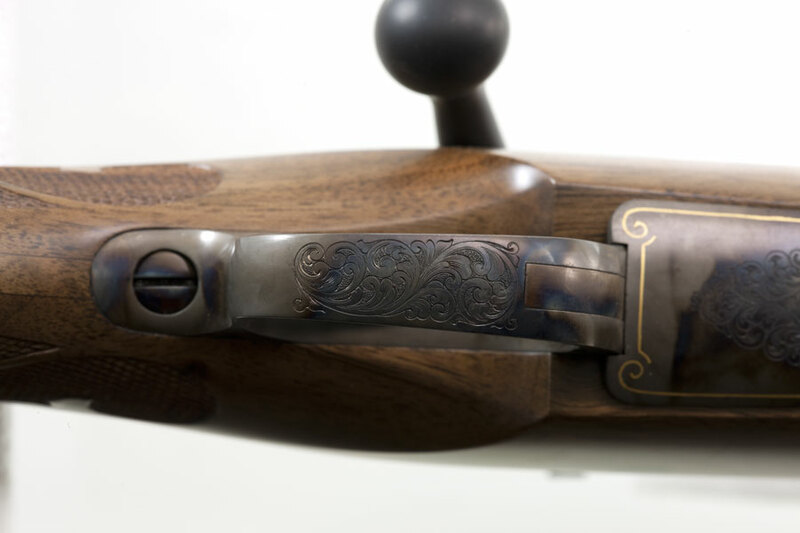 Starting from your choice of one of our many standard stock geometries as described on the Geometries page under Features, we then customize that geometry to your individual specifications. 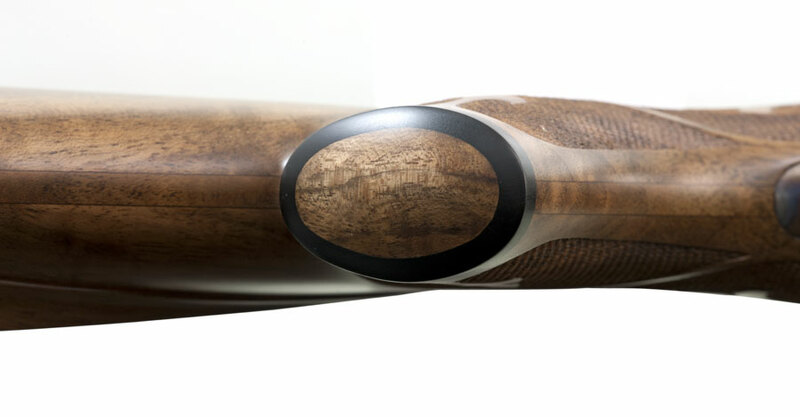 Our proprietary Stealth Lamination provides greater strength and stability while preserving the full figure, grain and beauty of the wood. 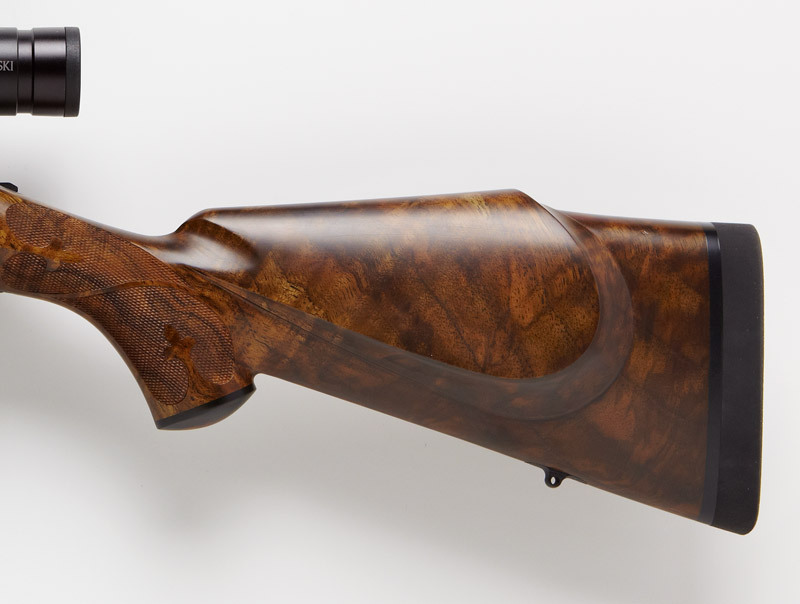 It provides all the benefits of a synthetic stock but with the beauty and superior feel of highly figured real wood. 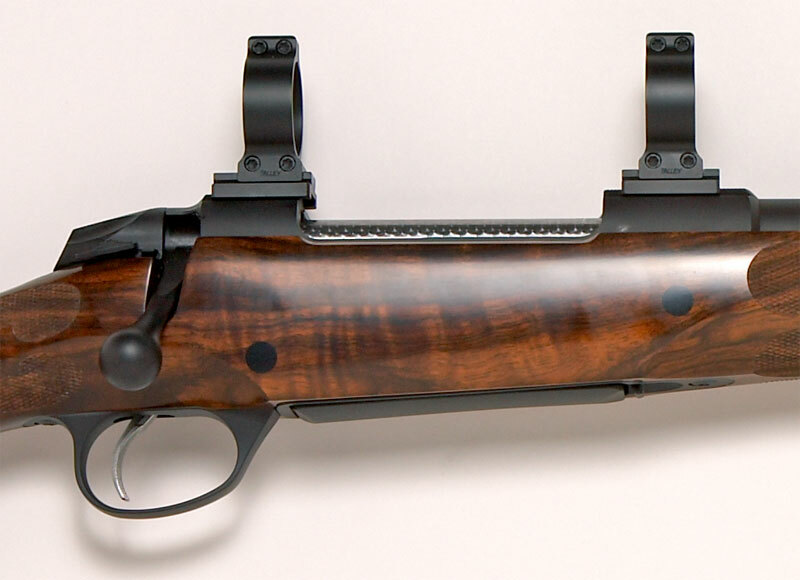 You may also choose an un-laminated solid wood stock if you prefer. 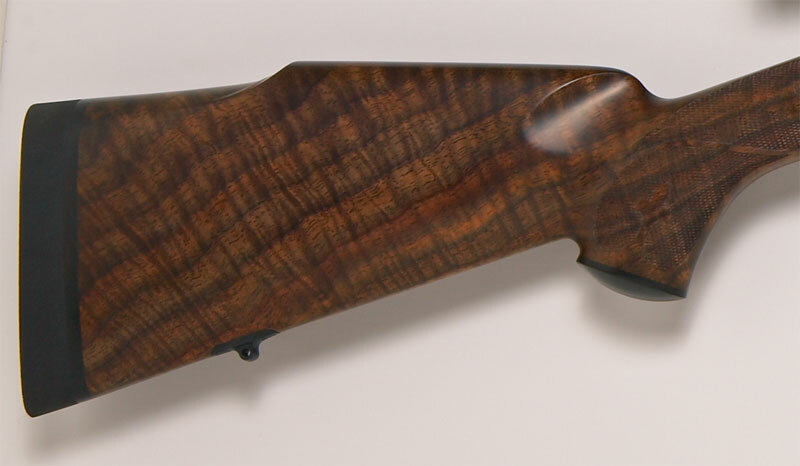 Choose your wood blank from our available inventory of Special Select Circassian Walnut Stocks shown on our Wood Blanks page, or located specially for you. 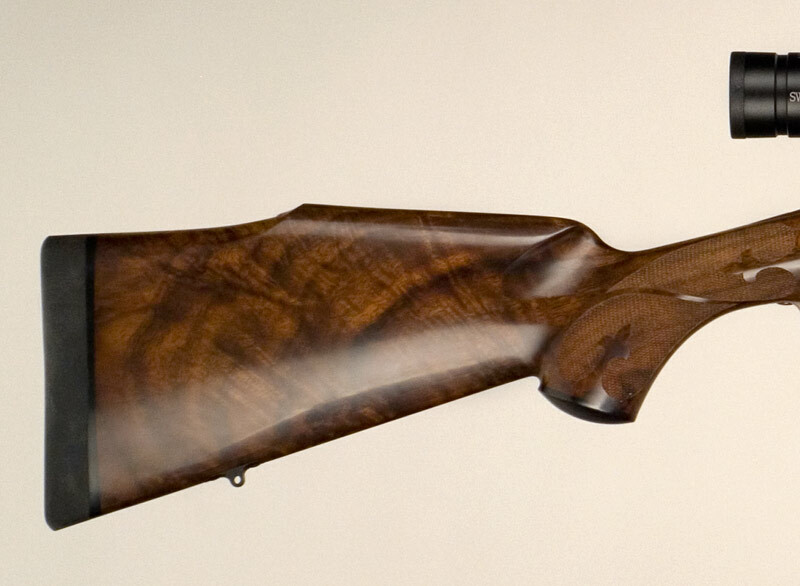 Exhibition and Premier wood blank upgrades are available as options. 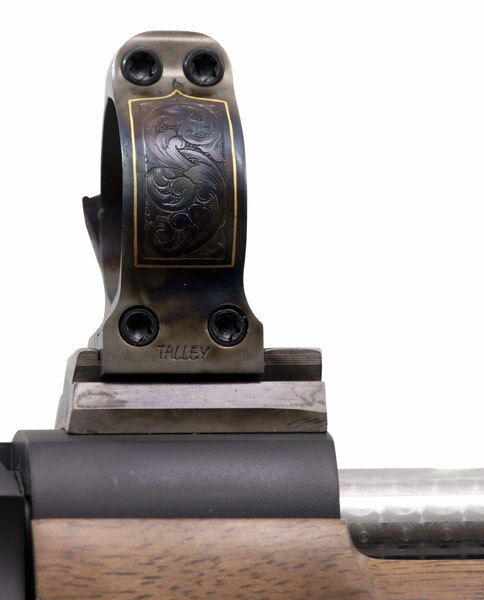 The Kilimanjaro Full Custom Rifle includes our trademark Diamond Fleur Wrap-Around Checkering—all done by hand—as standard, but with other checkering patterns available as options. 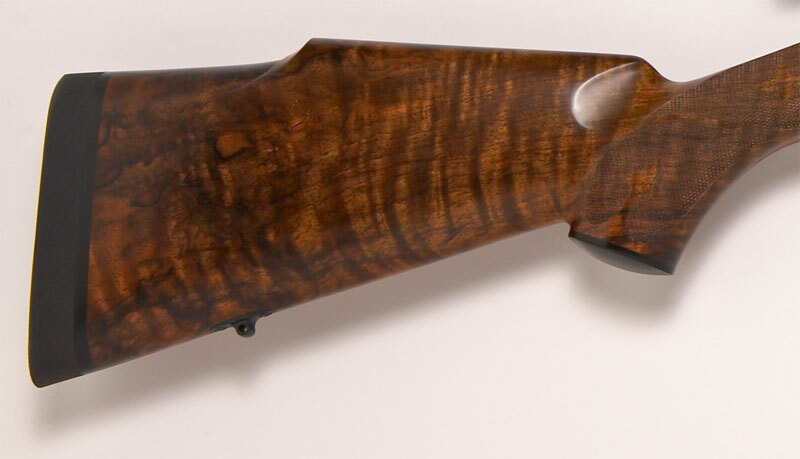 Our Museum Grade wood finish is the finest and most beautiful in the industry, and is designed specifically for rugged field use. 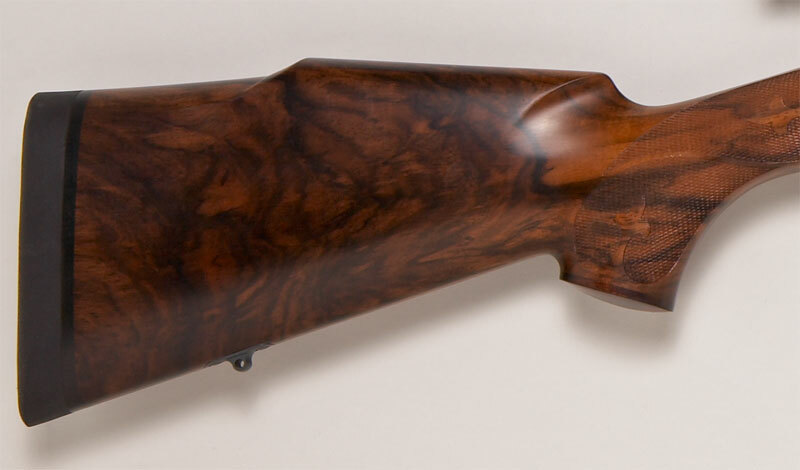 This finest finish procedure, achieved during our extensive research and development efforts, requires no less than two months of effort from start to finish. 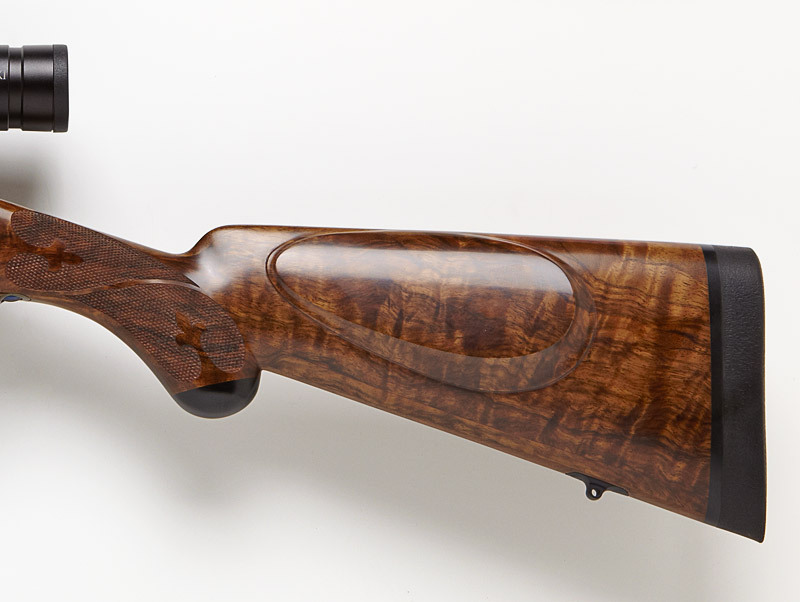 You may specify high lustre, moderate lustre or satin finish. 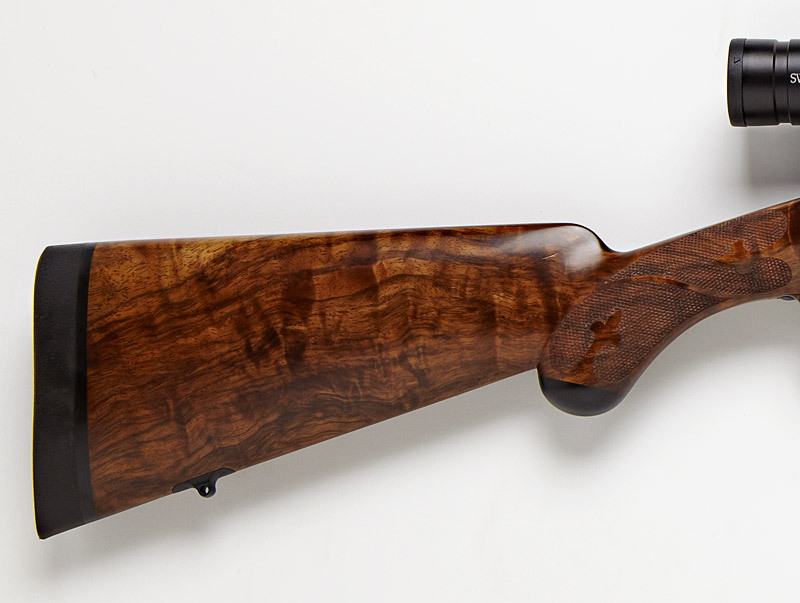 Our fine Circassian Walnut stocks are precisely fitted to and mated with the action and barrel by hand in this most time consuming step of the production process, and is key to meeting our stringent accuracy standards. The Kilimanjaro Custom Rifle features your choice of our refined and improved versions of the premium Dakota 76, Sako 85 or Winchester Model 70 actions as standard. 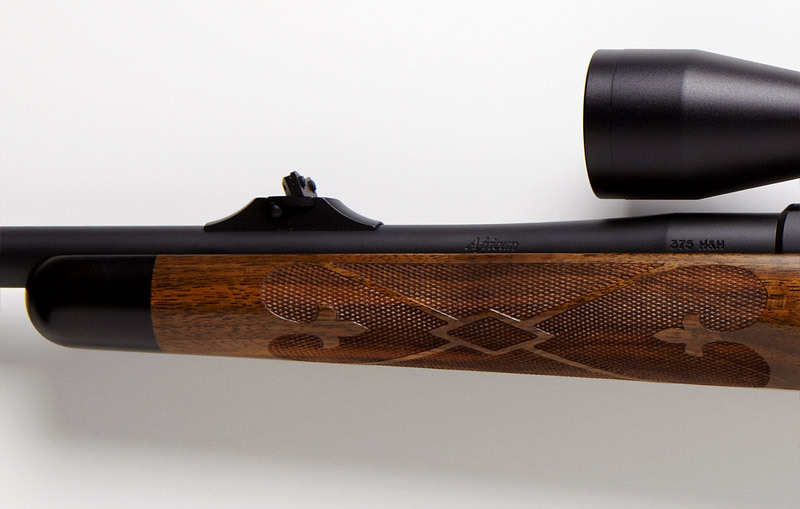 All of these actions feature controlled round feed, good extraction, fine triggers, and three position safety function. 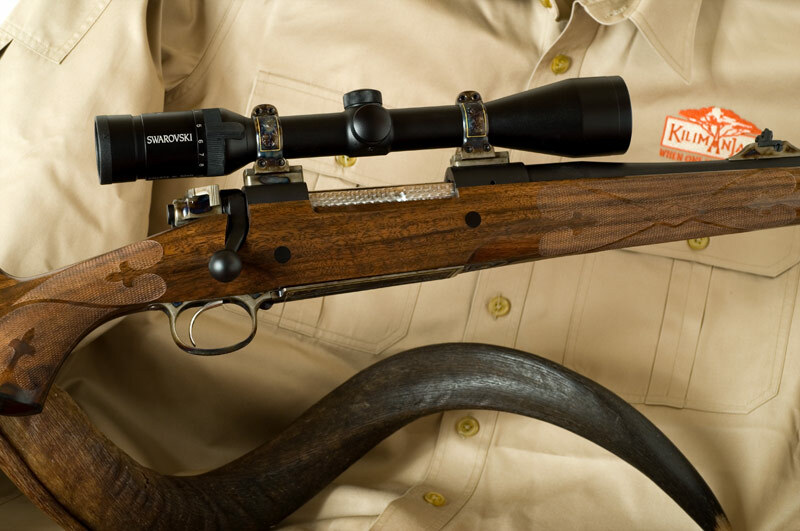 The Sako 85 action also offers the convenience and quick re-loading capability of a quick detachable box magazine, and a quick sixty degree bolt lift. The Kilimanjaro improved version of the Granite Mountain action is available as an option. 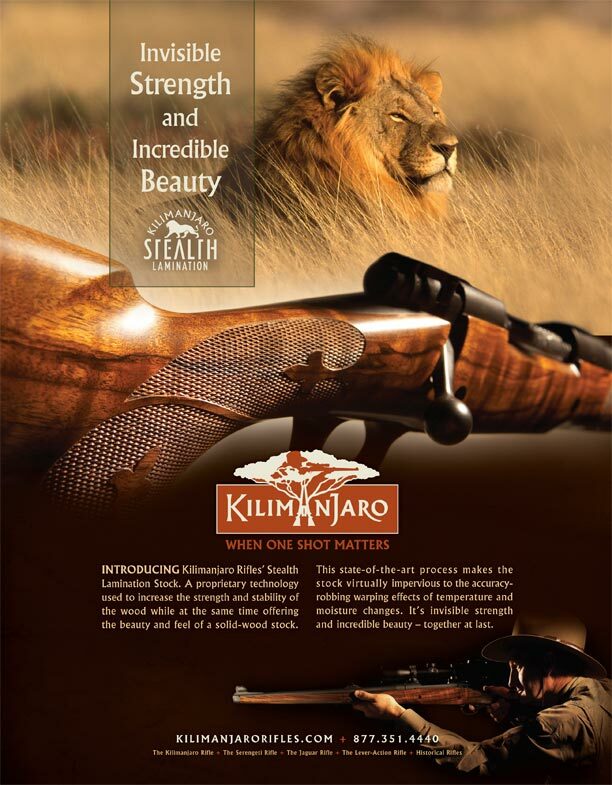 Indeed, the Kilimanjaro Rifle can be built on your choice of any commercially available or customer provided action. 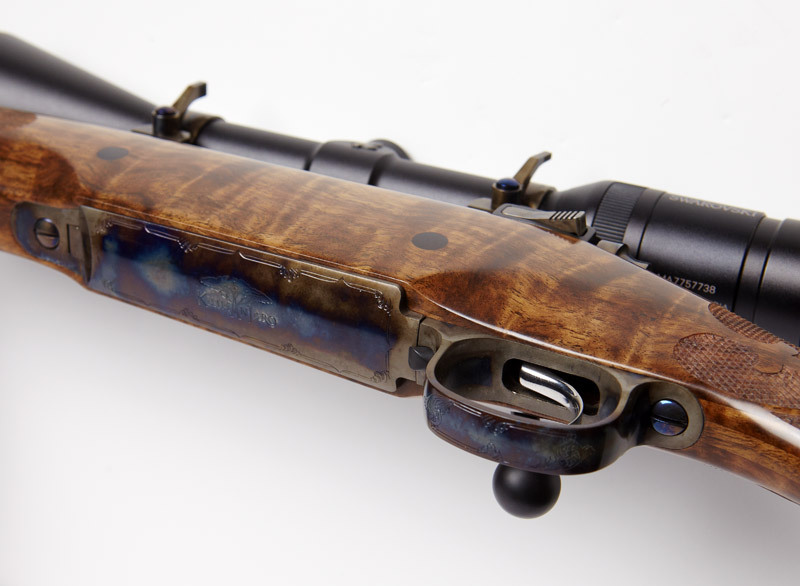 With the Dakota, Winchester or Granite Mountain actions, your Kilimanjaro Custom Rifle can be crafted in either right or left hand configuration. 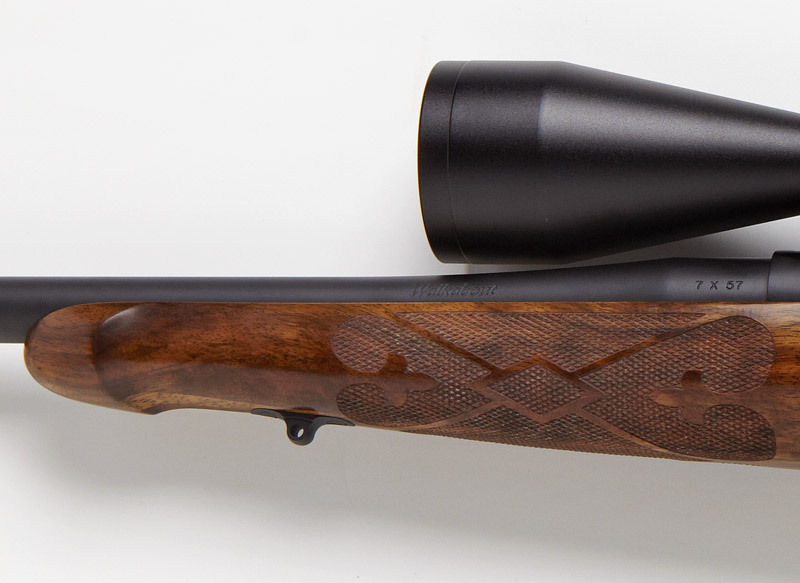 Virtually any cartridge chambering is possible, including most wild-cats, from 22-250 all the way up to the mighty 505 Gibbs, and all stops in between. 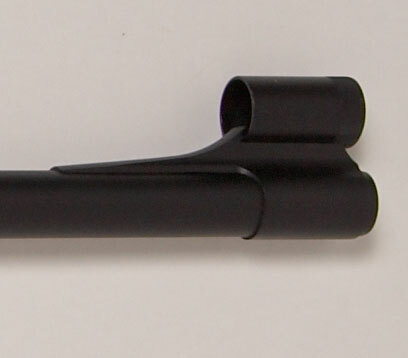 Cartridge selection may affect choice of geometry and action. 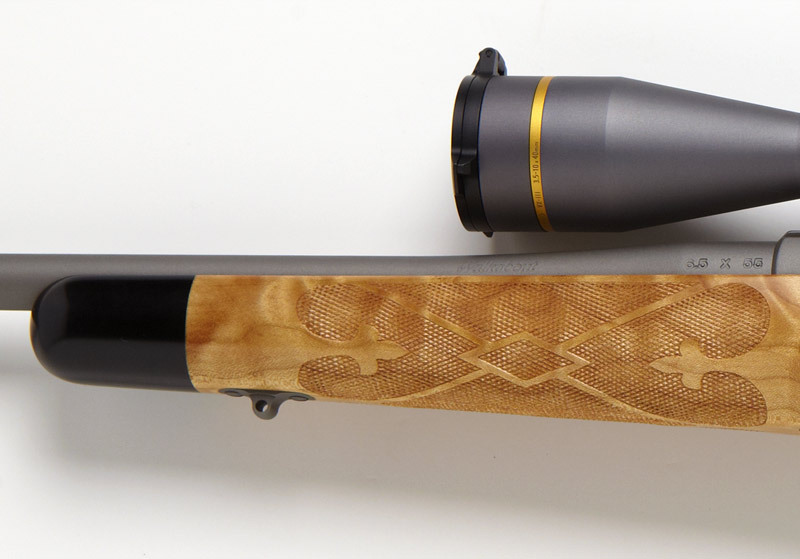 A match grade stainless steel barrel to your specification of length, contour, twist and crown is included from your choice of barrel makers. 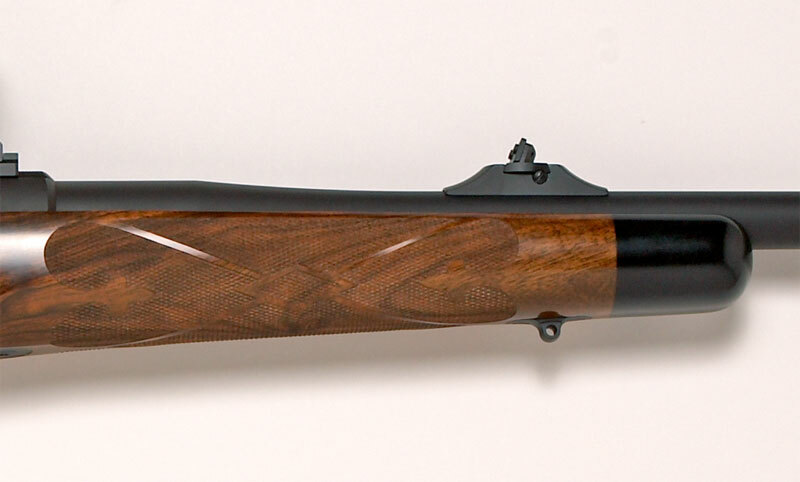 We utilize only the highest grade of barrels from the most quality conscious barrel makers like Pac Nor, Douglas, Shilen, Lilja and Krieger, but every barrel goes through our own independent testing for verification of accuracy and consistency. 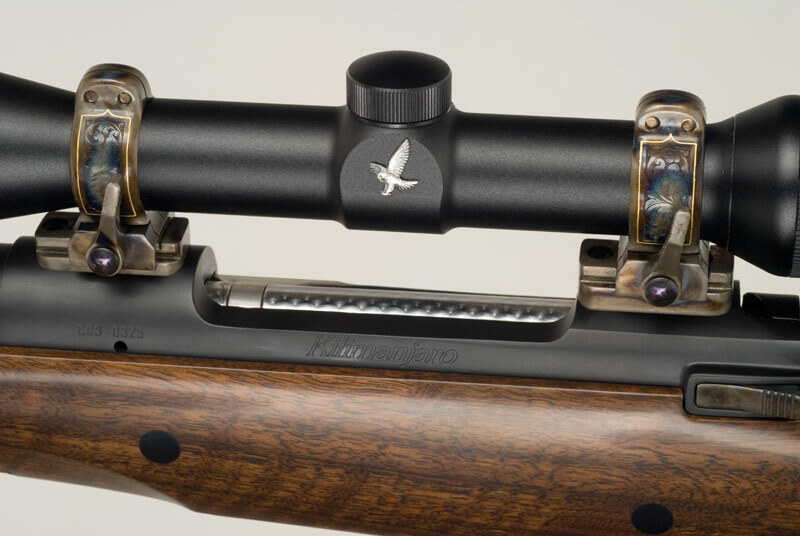 Kilimanjaro Rifles’ premium ceramic metal coating is standard in your choice of colors, providing excellent metal and corrosion protection in an elegant non-glare finish for field use. 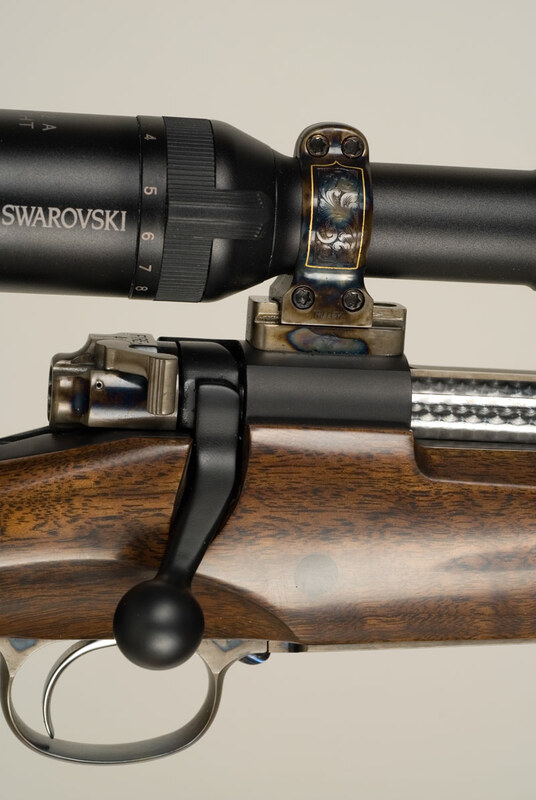 Other metal finishes are available on request, including color-case hardening, bluing, and bead blast finishes. 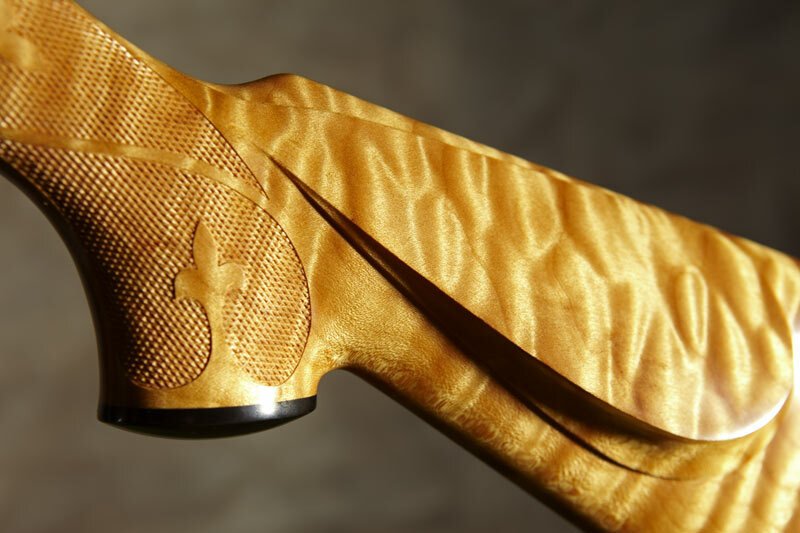 Rigorous quality assurance throughout the production process is provided with multiple pre-final and final tests. 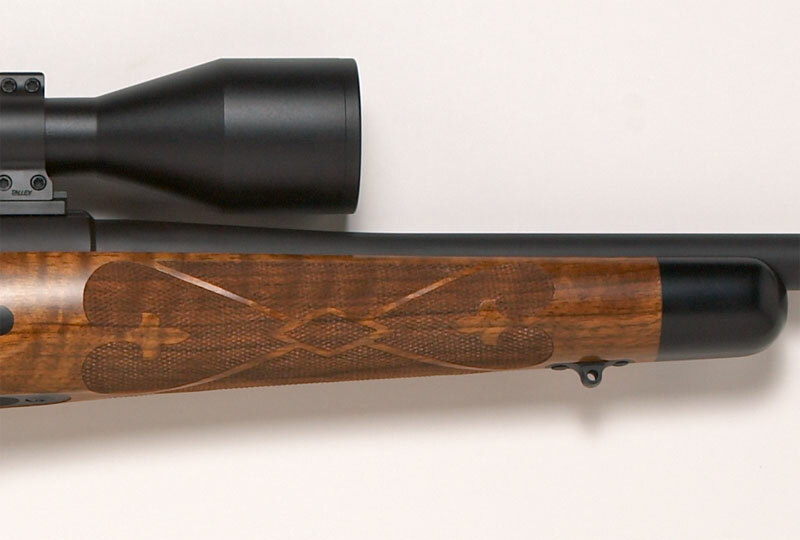 Full barrel conditioning (break-in) and accuracy testing with test target provided are standard. Kilimanjaro Rifles' focus is always on the field and on the hunt. 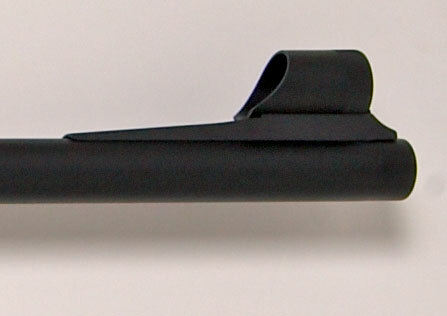 This focus extends to our delivery package. 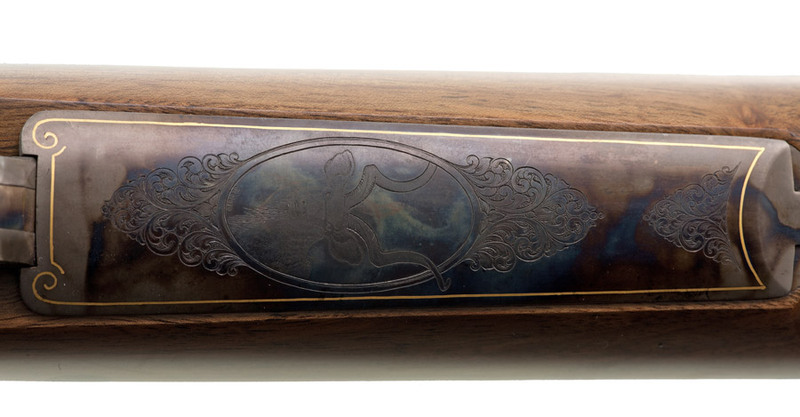 No cheap or flimsy plastic cases or impractical wood/velvet display cases here. 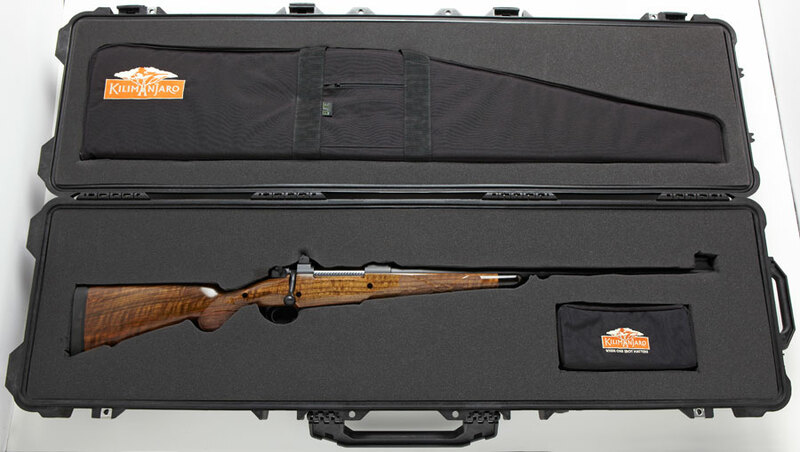 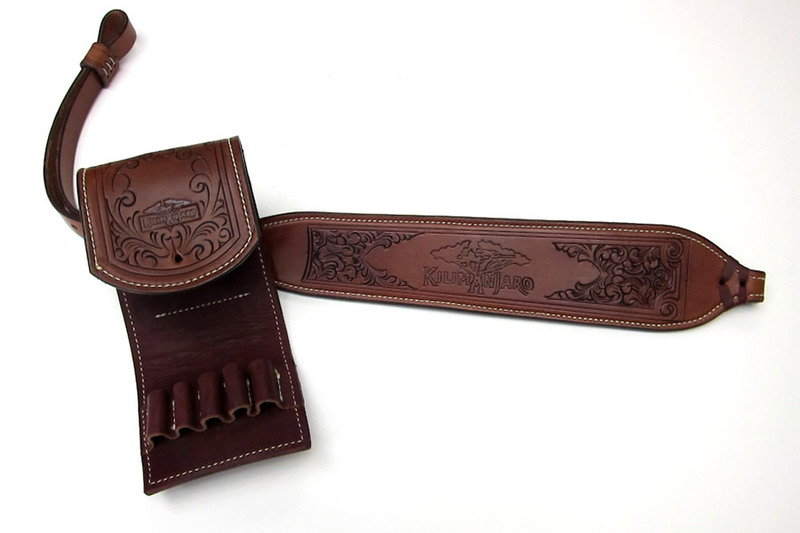 No –we deliver your custom rifle in a top of the hard rifle case with a special ballistic nylon padded bolt/accessory pouch proudly embroidered with the Kilimanjaro logo. 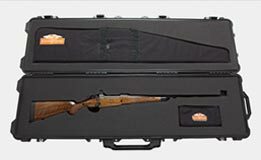 As an available option, step up to our Deluxe Delivery Package which features a Pelican 1750 or Boyt Premium double rifle case in which your rifle, accessories, and a premium Kilimanjaro ballistic nylon field case are carefully fitted and ready to withstand a million miles of the toughest treatment any airline, freight company, baggage handler or safari staff can throw at it. 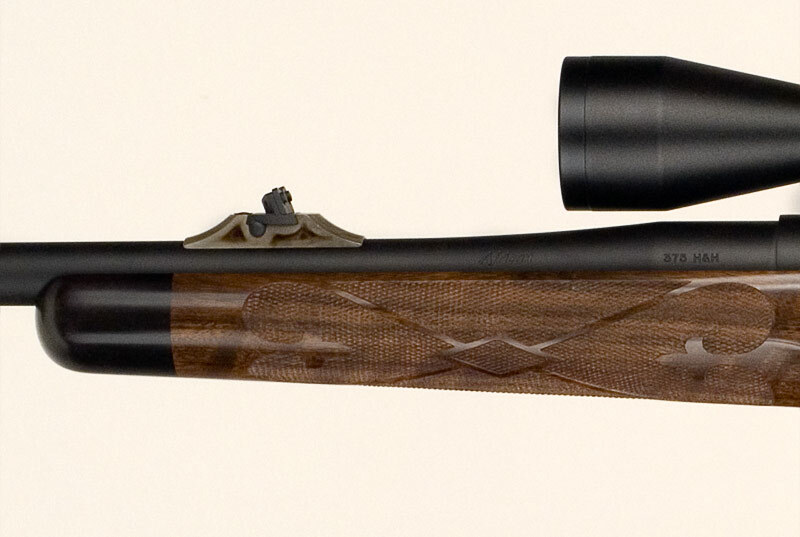 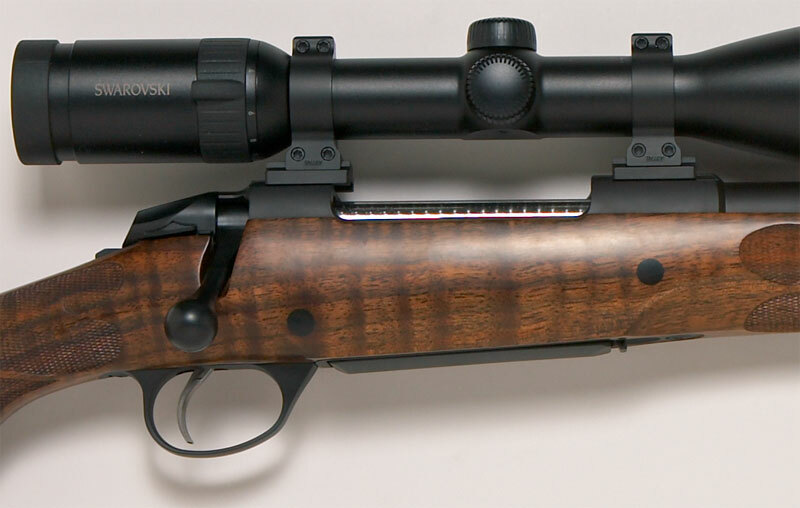 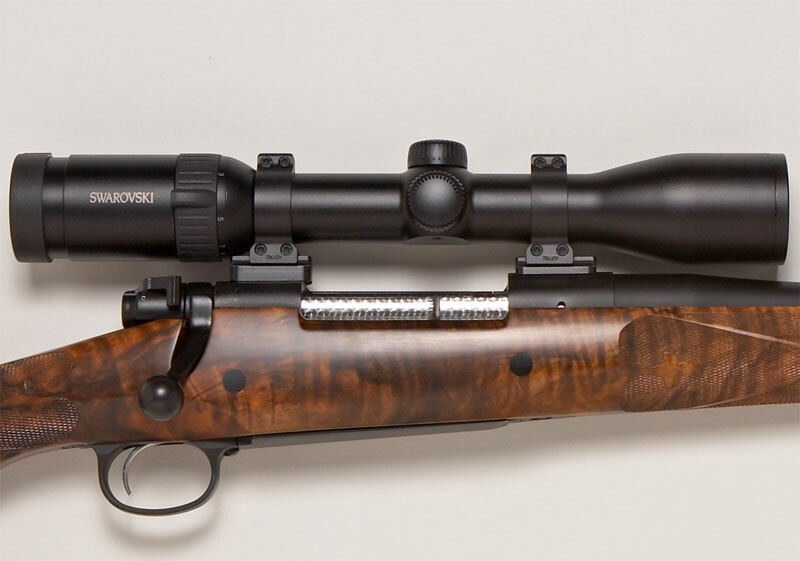 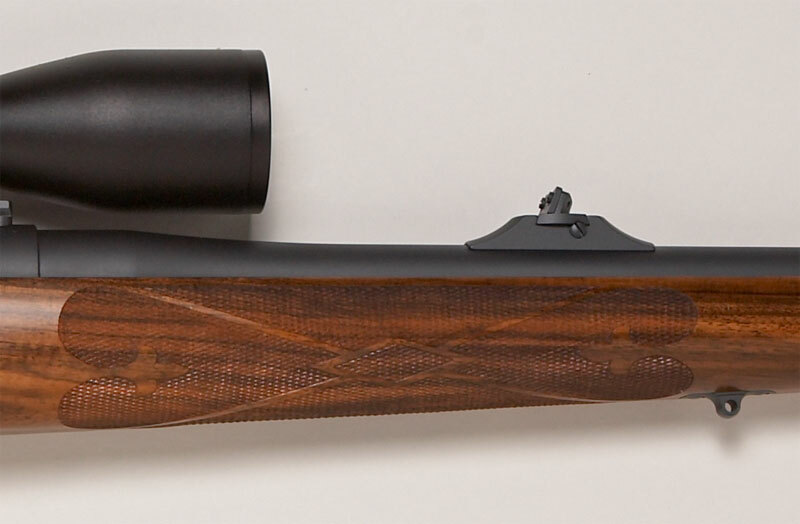 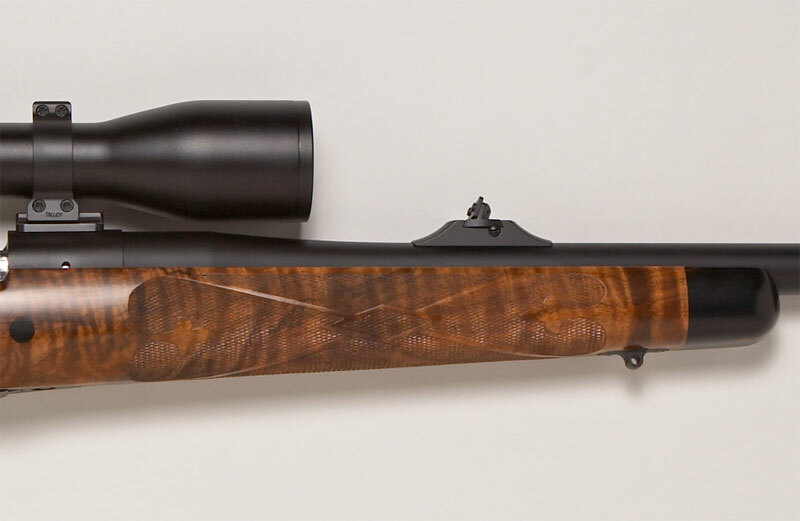 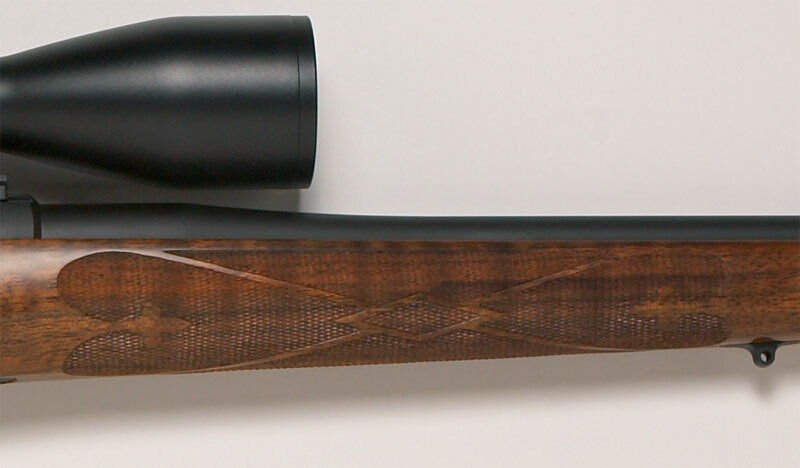 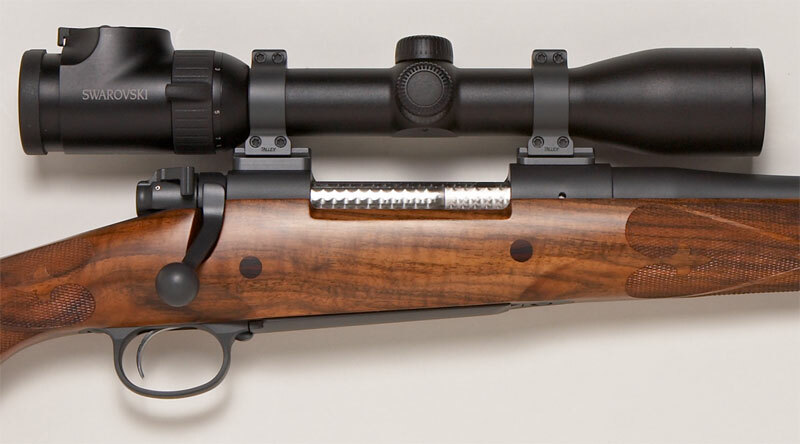 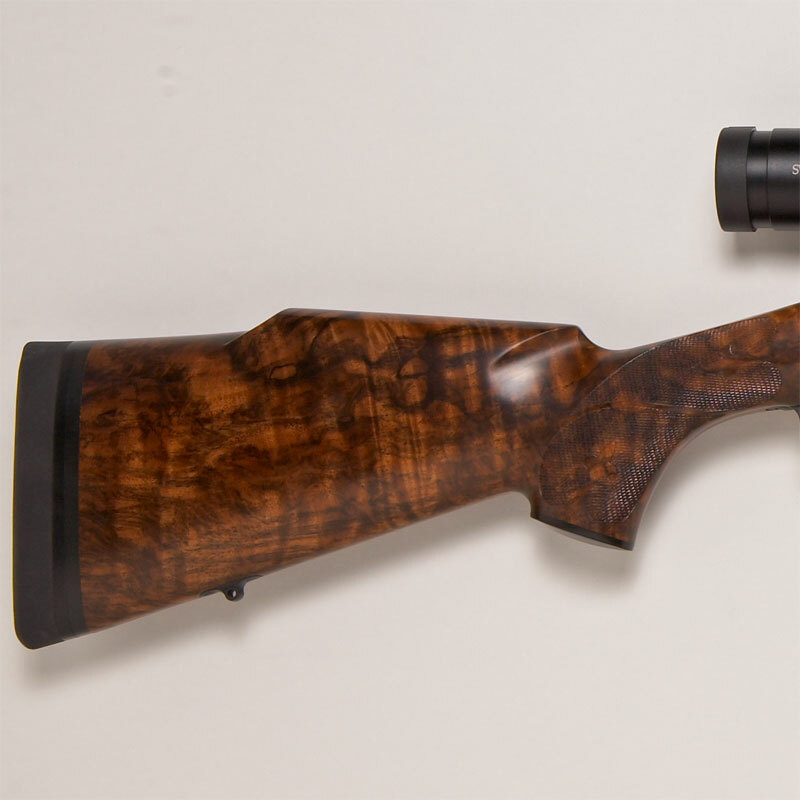 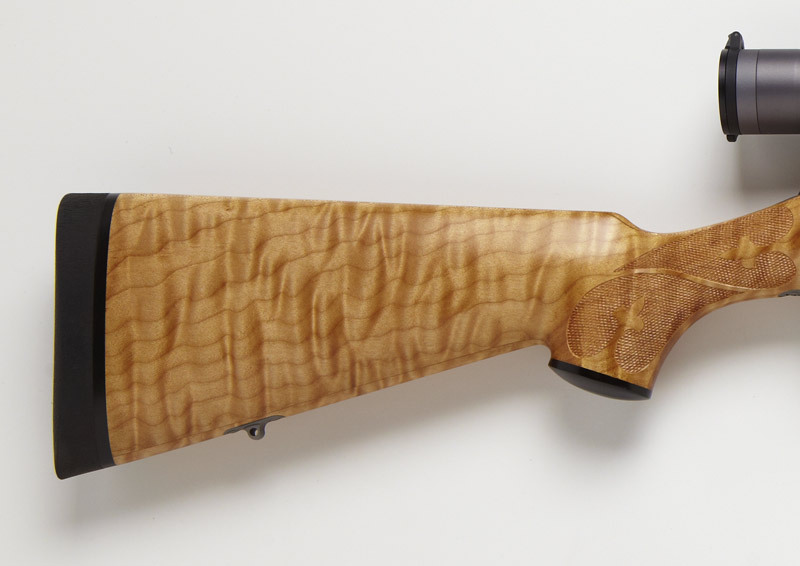 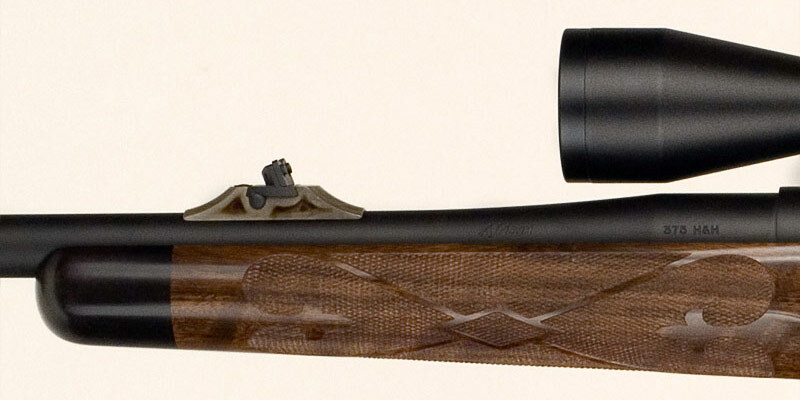 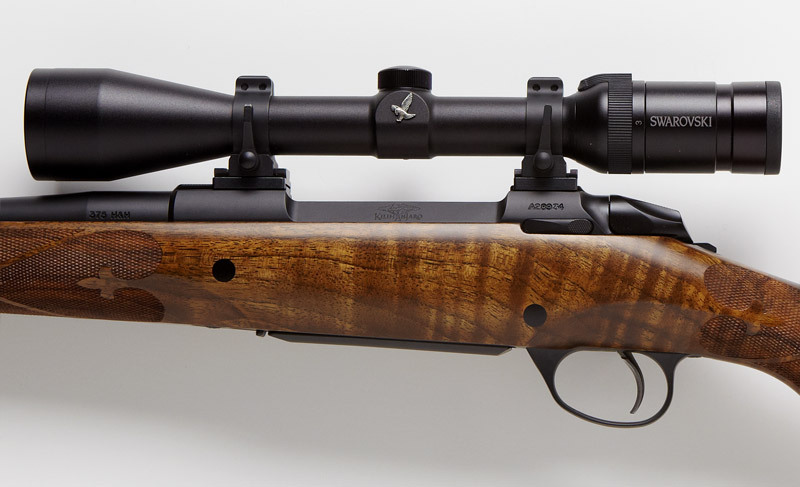 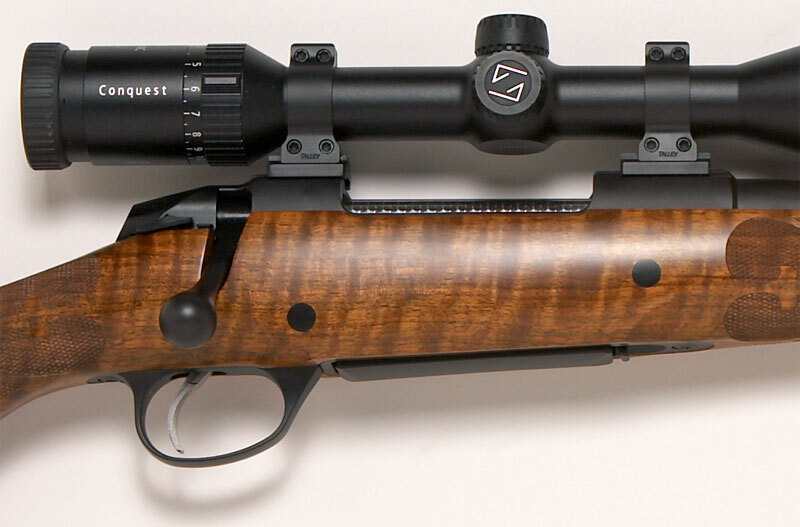 The Kilimanjaro Custom Hunting Rifle also comes standard with NECG iron sights, bolt jewelling, shadow-line cheek piece, Ebony or Ironwood fore-end tip and grip cap, two action cross-bolts with Ebony or Ironwood caps, Dakota style in-let swivel studs, Pachmayr Decelerator recoil pad in your choice of thickness and color, and Talley Quick Detachable scope rings & bases. 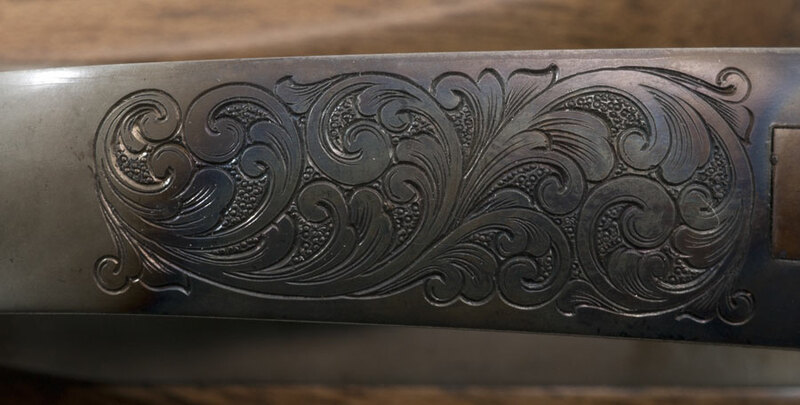 Many other options are available on request.